As a marketer, you are constantly looking for new ways to promote your brand and skyrocket results. But not only do you want to get your brand in front of more eyeballs, but you also want to market your brand in ways that build trust and allows you to resonate with your audience. Simply creating a banner and saying ”buy our stuff, we’re on a banner” just doesn’t work, and the trust and attention on traditional marketing sources like TV and radio are at an all-time low. With more and more people turning to social media, your brand has a tremendous opportunity to not only get in front of, and impact more people, but also get in front of your audience in the right context, with the right message, and reach the people who truly matter for your brand. A tremendously powerful marketing source is user-generated content. Billions of posts are being shared on social media, and as a result, cutting through the noise is tougher than ever. If you re struggling to generate the results you are looking to achieve on social media and on digital, user-generated content is something worth considering. With user-generated content, you create promotions that don’t come off as promotions, and you effectively humanize your brand by sharing content and promotions that looks just like a post from their peers, because, well, they are. If you want to start sharing messages that your audience trusts, that boosts your brand’s credibility, Improve your customer relationships, and impact your audience on a deeper level, user-generated content is for you. This is the complete guide to User-generated content, and in this post, I am teaching you everything you need to know and a bit more about user-generated content. User-generated content, also referred to as UGC, is content that has been shared by users online. (the name is quite revealing). ”User-generated content is content being created and shared online about a brand or product”. Since social media is the place where people have the loudest voice in today’s society, and UGC is, therefore, most often taking place on social media,. However, it doesn’t have to. And the thing is, it doesn’t stop there. If you aren’t leveraging the content your customers are creating, it will just lie there and collect dust. It is when you take advantage of the power that that content has, by incorporating it into your own marketing that you have a full-on user-generated content strategy. The fact that customers share stories about brands, and tell people about their brand experiences is nothing new. The big difference now is the way that user-generated content is being shared. Back in the days, the main way user-generated content took place was though customers who spoke about brand experiences through the good old word-of-mouth. But as the internet has evolved, it has given people the opportunity to share their experience with the world, and ultimately also the brands they’re talking about. When user-generated content was mainly traveling through word-of-mouth, brands had no opportunity to take up what was being said. If a person was leaving a review to their friends telling someone how awesome a brand is, there was no way for the brands to actually listen to the conversation that was taking place. But with social media, there is. What social media and mobile have allowed happening is broaden the type of user-generated content that is being shared. When word-of-mouth was essentially the only way for customers to talk about their brand experience, the only way that their experience was mediated was through voice – a vocal review. But with social media, customers can create videos, photos, text, and voice, right at their fingertips, with the world. And not only does this allow customers to create user-generated content in different forms, it also allows customers to create high-quality content that sometimes can even be better than that of the brand. It’s important to highlight that user-generated content cannot only take place on social media – even though that is where most of it takes place. The content that is being created by a consumer, fan, or a social media follower can just as well be shared on your website, in a comment section of your blog post, on a review site, or in virtually any other place online where your audience is spending time. The use of user-generated content has skyrocketed over the years. Partly because it is easier than ever for customers to share their brand experiences, leading to a bigger supply of user-generated content, but partly also because marketers have realized the enormous power that lies in UGC. People online are getting smarter than ever, and we are also getting pickier than ever about the ads we look at and trust. Back in the days, it was enough to run a TV ad saying ”we are the best in the world”, and everyone would believe you. Now, the landscape looks a lot different, to say the least. In fact, according to a Nielsen study which surveyed more than 28,000 Internet respondents in 56 countries, 92 percent of consumers around the world say they trust earned media, such as recommendations from friends and family, above all other forms of advertising—an increase of 18 percent since 2007. This is a clear sign that advertising and traditional advertising, in particular, is losing trust, while trust in peers is sky high. What’s more, online consumer reviews are the second most trusted source of brand information and messaging, with 70 percent of global consumers surveyed online indicating they trust messages on this platform, an increase of 15 percent in four years. The main benefit of user-generated content is, as you can see trust. 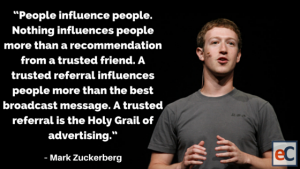 People don’t trust traditional advertising, but they do trust peer recommendations, and this means that you are missing out on tremendous opportunities if you aren’t using it. Another benefit that user-generated content generates more engagement. Because consumers trust certain messages above others, that message will see a higher engagement. A study by ComScore found that brand engagement increases 28% when user-generated content is used in product videos. Moreover, consumers are twice as likely to share user-generated content with friends or family, which further boosts reach and engagement. Another benefit of user-generated content is that it helps humanize your brand. Instead of being self-centered and promoting yourself, you’re essentially marketing yourself in the third person by leveraging what your customers have said. Because you’re only mediating what your customers say and share. When you share messages from other customers that are just like them, they have an easier time picturing themselves as customers, but the best part is that they can resonate with the peers, and as a result resonate with you as a brand. User-generated content removes the pedestal you’re standing on when you have professionally created content that is great, sure, but that is distancing yourself from your audience. When you use UGC, you’re coming down to the same level as your audience. Here’s an obvious yet very powerful thing we cannot look past when it comes to user-generated content: content creation for brands is expensive. It demands a ton of resources, time, and effort. Imagine how life would be if your customers could just create your content for you. Well, they are! And if you aren’t leveraging it, you’re essentially throwing money in the trash. Then, we cannot forget the SEO benefits of user-generated content. It’s often a neglected benefit of SEO, but it is true, and it is there. In fact, Kiss Metrics found that among the world’s top 20 largest brands, 25% of their search results are linked to user-generated content. In other words, user-generated content leads to more traffic, and ultimately more people linking back to your site. When shopping online, have you ever seen reviews on a product in the check-out, or when you’re looking at a product? In fact, according to a report, when consumers witness user-generated content while shopping, the conversion rate increases by 4.6%. WHat’s more, user-generated content interactions while shopping increases the conversion rate to 9.6%. Lastly, as you’re making your audience a part of your content, and sharing content which your audience actually likes and trusts, you’ll be able to increase your follower count more than your competitors that aren’t leveraging user-generated content. User-generated content has a lot of marketing power, to say the least. And in the saturated marketing landscape, we live in, with people trusting traditional advertising less than ever, brands need to find new ways to market their brand and do it in a way so that it actually has an effect, and is trusted by their target audience. Customers aren’t being paid for creating user-generated content, yet still, more people than ever are doing it. Well, first off, humans love attention, and to feel appreciated. They especially like being noticed by brands they love and look up to. As a result, sharing user-generated content is a way to get noticed by brands, and ultimately be a part of their marketing. According to a Sprout Social study, about 75% of consumers say they will share a positive experience with a brand. People are 2 times more likely to share user-generated content because they want their friends to know about the brand, yet, still, only 14% of brands are aware of that. The fact that people want to recommend a brand to their friends is the main reason that people share user-generated content, and this is something you want to leverage when you are going to encourage your audience to create and share user-generated content. And it’s not so strange, really, that people want to share great brands with their peers because when it comes to millennial, 73% of them see it as their responsibility to guide friends, peers, and family toward smart purchase decisions. Whether you know it or not, your customers are sharing user-generated content on social media. The only problem is that you aren’t identifying it, and you aren’t leveraging the power that the content your customers are sharing has. By taking advantage of the content that your audience is creating, you can create your brand’s story, while making your audience a part of the process. And when you do, you’ll not only spark conversations around your brand, but you’ll also establish deeper relationships. In the first hand, leveraging user-generated content in marketing is not about getting more and more people to share user-generated content around your brand. Instead, it’s about leveraging what is already out there. Because chances are, there is quite a lot. As an example, if I go to the hashtag CocaCola on Instagram, how much user-generated content do you think I’ll find? And how much of that do you think Coca-Cola leverages? Not a lot, right? Probably nothing. What’s more, it’s not that the content that is being created is bad. In fact, a lot of the content being created is high-quality, appealing, unique and captivating. Marketers can be a little cautious about using user-generated content that is low-quality, and that is completely right. You should never compromise on quality – even if it is user-generated, but this is not the case here. What do you think Coca-Cola’s excuse is? As mentioned, your audience is already sharing-user generated content in a number of places whether you know it or not. They might share it on social media, they might leave reviews on review sites, or they might even leave comments on your very own website. Either way, the user-generated content doesn’t do much good unless you are identifying it and then leveraging it. There are a number of ways you can identify user-generated content, and where you’ll find it depends on your audience and where they’re most active. When people create user-generated content for your brand, they want you to see it. It’s not like they’re going to hide the content from you so they can’t find it. However, if you aren’t looking, you’ll never see, even if it’s right in front of you. The first method is to search for branded hashtags on different social media platforms. People are using hashtags, and if they’re sharing user-generated content, there’s a chance they might be using your branded hashtag instead of, or as a complement to tagging you in the post. In other words, you want to begin by searching for your own brand in hashtag form. This is done just like the example of Coca-Cola above. In other words, if your brand is Pepsi, you’ll search for #Pepsi. What’s more, you also want to search for common misspellings so you aren’t missing out on any posts just because your customer made a spelling error. Note that hashtags are used differently on different platforms. For example, hashtags are widely used across Instagram, but almost not used at all on Facebook. The most obvious way that people reach out to you is by simply tagging you in their post. Of course, mentions of your brand only exist for a while, until new notifications pop up and bump the notification down. Therefore, if you don’t want to miss something, regularly check your mentions. Often times, people send you a message on the social platform they’ve shared user-generated content to let you know that they’ve done so. Sometimes, they might not even have shared the content on their site, but instead, they send it directly to you. Therefore, you want to keep your eyes open and check your messages regularly so you aren’t missing anything. If your business is on sites like Tripadvisor or Yelp, there’s a great chance that people are leaving reviews there. As a result, you want to regularly check these sites, as well as be ready to engage and respond to any reviews you are getting – no matter if they’re positive or negative. All of the methods for identifying user-generated content is social listening. Social listening is the foundation for identifying and using user-generated content. Because the thing is unless you’re actively looking for the content that is being created about your brand or at least has a way to gather it – whether it be a simple review, a photo, or video, you’re not going to find a lot of user-generated content. The best part is that there are lots of social listening tools at your disposal that you can use to identify conversations and UGC about your brand. 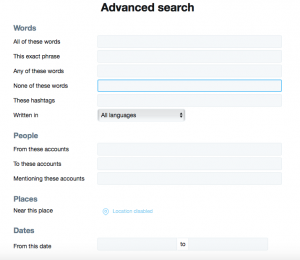 Firstly, you have Twitter’s own built-in advanced search tool that allows you to search for specific terms and keywords without them being hashtags. Not only will you find user-generated content, but you’ll also find valuable customer feedback, as well as messages from your customers that demands you to respond. Tools like Mention, IFFT, Hootsuite, and Keyhole are some of the most popular social listening tools. Before you get into the nitty-gritty of user-generated content and start practicing it, it’s important to have a strategy. just like any other strategy, you’re going to set up goals and objectives with your UGC efforts, and they’re going to be set following the SMART goal setting principle. Having a strategy is essential for all marketing efforts you do because it allows you to better work towards your goals, and ultimately generate better results. Allows you to manage your UGC effectively right from the start. Allows you to monitor the performance of your UGC campaigns. Minimize the risk of failure from UGC campaigns and maximize chances for success. Makes it possible to better plan the work of your teams involved in UGC campaigns. In fact a study by SEMrush, 86% of businesses have tried user-generated content, but GoodVid discovered only 27% have a strategy for this content in place. As with everything, user-generated content is not effective if used in the wrong way. ”The ROI of a basketball is zero for me, but for LeBron, it’s billions”. In other words, it’s not about is it beneficial, but more so, can you use user-generated content in the right way so that it becomes beneficial and that allows you to generate the best possible results? Having a UGC strategy allows you to do just that. Your UGC strategy should include a lot more than just your goals. But when it comes to goals, you want to clearly define the reasons why you’re running influencer campaigns. Launch a new product and build hype? How long will your campaign go on for? In your strategy, you need to state how long your campaign is going to go on for. Obviously, if your campaign only lasts for a couple days, there’s a risk that people won’t have the time to join, but if it lasts too long, there’s also a risk that people will forget about it. There’s a fine balance between the two. What type of content you’re going to need as well as how you’re going to incentive your audience to create user-generated content are also two important things. But because these two things are such important parts of a successful influencer-generated content campaign, I’ll go more into detail of them in a minute. These two parts are crucial for an influencer-generated content campaign, and it consists of two parts. First off, where your audience should be sharing their UGC. There’s a difference between running a UGC campaign and just having your audience creating and sharing UGC sporadically. For an influencer-generated campaign, you set up clear guidelines for how it’s going to go down, what happens when the campaign is over, and how your audience can join in on the fun. When running a campaign, you’re usually creating the campaign in one place so you can have a better effect and better control over the content that is being created and shared. When your audience is creating content on own initiatives, there really are no limits. People are sharing the content wherever they want, whenever they feel like it. This makes it a lot harder to identify the content they’re sharing, as well as get them to share the content you want them to share. Therefore, when you’re going to run a user-generated content campaign, select one social platform, or one place where the campaign takes place. Moreover, you also want to clearly state where you will be sharing the content. After all, the main reason that you’re encouraging your audience to share user-generated content, apart from the fact that you are getting free exposure and recommendations, is to gather content that you can use in your very own marketing. For user-generated campaigns, a popular way for brands to share the content that is created by their audience is to create a special section on their website where they display all the content. The best part about this, is, as we talked about earlier when looking at the benefits of user-generated content, that you acknowledge your audience and show them that you appreciate the time they’ve invested in creating the content for your brand. 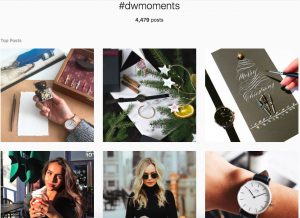 Daniel Wellington is a brand that has realized the power of user-generated content, and therefore, they’ve created a particular page on their website where contributions that have been shared on Instagram with the hashtag #DWMoments. Note that Daniel Wellington has been very clear about how you join, which platform you do it on, and where the images are going to be presented. Collecting content from your UGC campaign is something you also want to think about. When your audience is creating content on own initiative, they’re just sharing it the way they prefer. However, when running a campaign, you want to set some rules for how they’re going to join the campaign. The most common way to do this is by creating a personalized hashtag, just like Daniel Wellington has. This allows you to quickly identify the entries you’ve received, as well as get an overview of the content that is being shared. For example, if I go to the hashtag #DWMoments on Instagram, I’ll be able to find all the posts that their customers and fans have been sharing. This also works as inspiration for future potential customers, as well as people who need ideas for what they’re going to create for the campaign. Hashtags make it easy for people to join, and they are also great because they can be found across all the top social media platforms, not restricting them to only one platform – if your campaign allows entries from multiple platforms. You don’t have to limit yourself to social networks, though. In fact, another way to set up an influencer campaign is to ask your audience to upload their user-generated content to your website. When you offer multiple choices to your audience in UGC, you make it more accessible to join. If you’re going to share the content your audience creates on social media, you want to decide which social platform(s) you’re going to share it on. It’s important that you have in mind that all social platforms have different demographics, so all content might not fit all social platforms. When influencers are the ones who create the content, it is often referred to as influencer-generated content. Influencers, as you know, have a large and engaged audience that looks up to them. Influencers can be leveraged in several different ways in your user-generated content efforts. First off, as you know, 92 percent of consumers around the world say they trust earned media, such as recommendations from friends and family, above all other forms of advertising. But the best part is that as people look up to the influencer, that number has the potential to go even higher. Secondly, and this is the main reason why brands are implementing influencers int heir brand strategy, is that influencers have a large audience that can help your user-generated content strategy gain traction. 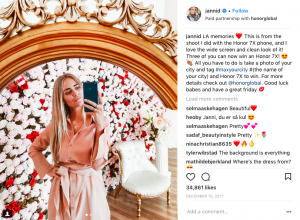 Take a look at influencer Janni Delér who shares a post with her Honor 7X phone, and announces a giveaway where three people will win a phone. 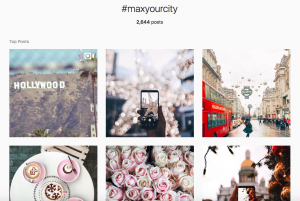 What people have to do is share a photo with the hashtag #MaxYourCity to join. 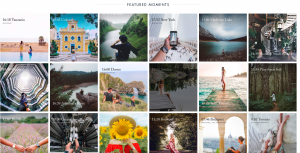 Now, Honor teamed up with a number of top influencers on social media to promote their campaign and was, as a result, able to generate over 2.6K user-generated content entries. And that’s quite a lot. Seems like brands got a lot to do. But since you’re here, you won’t be making that mistake at least. Your audience wants you to give them directives of what type of user-generated content they should be creating and sharing, so do it! What format do you want your audience to create? Do you want text, ratings, images, selfies, short videos, long videos? 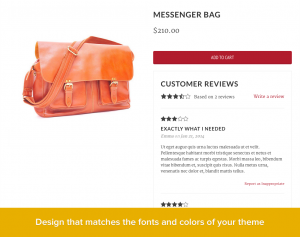 Do you want your audience to create content of´ that showcase them using your products, or do you want them to share a post when they’re unboxing your product? People have questions, and if you don’t give answers to them, many of them will shy away from creating user-generated content. And this goes for both if you are running a UGC campaign or if your fans are creating content just because they want to. When running a campaign, be as specific as clear as possible. This will increase the number of people who join in on the fun. You could take all of the user-generated content you receive, but just because it’s UGC doesn’t mean you want to be using it all. After all, the single most important thing to social media success (if that’s where you will be sharing it) is high-quality content. It is the only value proposition you have, and the only thing that allows you to cut through the noise, and unfortunately, just because a piece of content is user-generated, doesn’t compensate for the fact that it is low-quality. Therefore, you want to show your appreciation to all the people who join and contribute, but only use the best of the best that resonates with your brand and aligns with your visual content strategy and theme. User-generated content encourages people to engage with your brand and makes them more loyal to you. And obviously, you want to take advantage of that and use this opportunity to build your community and turn your fans into loyal supporters of your brand. User-generated content brings you the chance to engage with the people who share content and build a deeper relationship. Therefore, it is also important that you show that you truly appreciate their contribution. You can also ask them questions to get the conversation going, for example how they created the content, what camera they used, and so on. When you do this, you’ll be able to drive your audience further down the sales funnel, as well as show your personal and human side of your brand, which ultimately makes you more approachable. When you’re working with user-generated content, you want to encourage your audience to share it. 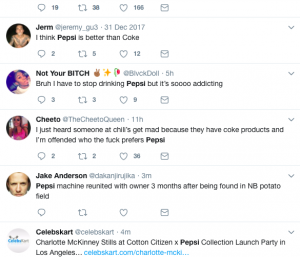 Obviously, as you saw with Coca-Cola, their fans are sharing a ton of content about the brand, even though no-one is encouraging them to do so. 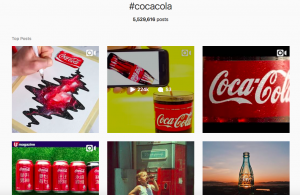 However, if Coca-Cola would put great emphasis on encouraging their audience to share user-generated content, chances are, they’d be able to skyrocket the number of posts their audience create. 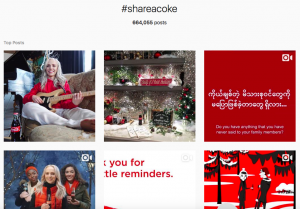 For example, just over the period when they ran their ”Share a Coke” campaign, over 660K posts were shared on Instagram along with the hashtag #ShareACoke. One way is to just ask your audience to share content, but that will only convince so many. After all, your audience has to spend time in creating and sharing content – time that they will never get back. As mentioned earlier, some people are willing to just join in on the fun because they want to be acknowledged by the brand they love, and this is the least you can do, and something that you should do at all times. Every time someone shares user-generated content, you should like their post, and thank them sincerely for their contribution, as well as their support in your brand. That way, you show that you value both them and their time. But just giving a simple ”thank you” will only convince so many, and if you want to get the most contributions possible, you need to incentive people to take part. The first way you can do this is by actually sharing the content they have created. It can be on your website or your social channels. People will feel honored that a brand has shared their post, and they’ll feel acknowledged and valued. But when doing so, make sure you always give the proper credit to the person who created the content. For some people, the chance to appear on your website or social account is incentive enough. However, there is nothing that convinces as much as giving some sort of price or gift to people who create and share user-generated content. There are tons of ways you can set up a campaign where you reward the people who contribute, in order to encourage more people to do so. If you aren’t giving away something with a very high value, you could give a gift to everyone who contributes. It can be something as simple as a coupon code. However, if you want to turn it up a notch, you can create a contest where the best user-generated content wins a great prize. Doing so will encourage your audience to create really high-quality content, which means that more of the content that is being created will be content that you can actually use in your own content marketing. Whether you choose to reward the entry with the most votes, a few entrants who are chosen at random, or every participant witha a coupon, prizing brings UGC campaigns to the next level. When sharing user-generated content, you want to think about the terms and conditions of that content. This goes for both the terms and conditions of participating in your UGC campaign, but also the terms, conditions, and laws that you have to abide by when running your campaign. Are you allowed to use the User-generated content that you are about to share? The truth is that most people will be absolutely fine with you sharing their content as long as you give them credit, and, many people will even feel honored if you do. However, there are people who will get angry and even threaten to sue you if you use their content. With user-generated content, you always want to stay on the safe side and always make sure that you have permission to share the content that your fans have created. An approach many brands have is to write in their profile bio on a social platform that you should use a certain hashtag to get shared or to join the UGC campaign. But just because you let people know that they might be reposted if they use that hashtag doesn’t mean you have permission to use their photo. Obviously, just because I write in my social media profile ”use the hashtag #happy” doesn’t give me permission to use all the posts that have been shared with that hashtag. 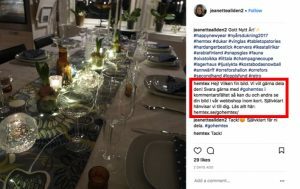 Swedish interior brand Hemtex stays on the safe side and asks their audience both do include their own branded hashtag and then when they see a post they like, they comment on it, asking for confirmation that they are allowed to use the photo on their website. And this is a great strategy because it makes people aware of the fact that they will be shared, but most importantly, that they have permission to use the photo. 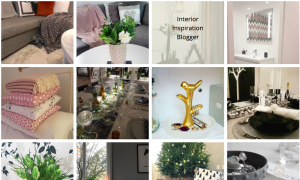 Take a look at the section on Hemtex’s website where they showcase customer Instagram images and link back to the profile of the people who have taken them. Doing this is a great way to engage your audience, make them more loyal, and most importantly, and give back to them. As with all marketing efforts, you eventually want to measure results so you can see if you’re generating any results, and what tactics are most effective. This is where having created a strategy comes in helpful because it allows you to quickly identify the metrics to look at. User-generated content is tricky, but if you follow the steps above, you can use it to your brand’s advantage. Take this opportunity as a chance to engage more with your audience and build a better community among your followers. With Sprout Social’s new Instagram Repost features, you can easily share your favorite user-generated content on Instagram! It’s a breeze to simply copy the link of the post, open your Sprout Social app, schedule or post immediately and then share. Driving more awareness to your social channels will not only direct people to your products or services better, but it will also show them your brand’s personality. Share with us your favorite user-generated content tips in the comments below! Complying with legal guidelines by confirming that consumers accept terms and conditions.